Spring in New Orleans means the return of snowballs, festivals, and most importantly, crawfish. Crawfish season in New Orleans typically begins in late January and lasts through early summer. March and April mark the peak of crawfish season, and there’s no better way to feel like a local than to pinch and peel some hot boiled crawfish. Boiling crawfish in a mixture of spices and vegetables is a favorite way to prepare this delicacy, but it’s not the only preparation you can enjoy while you’re visiting New Orleans. Crawfish comes in many varieties, including crawfish étouffée, seafood gumbo and fried crawfish po-boys. Deanie’s Seafood – 841 Iberville St.
Deanie’s has been a local staple for more than 40 years, and their French Quarter location offers tourists a taste of fresh Louisiana seafood, including seasonal boiled crawfish, shrimp and crabs. You’ll also enjoy entrees like crawfish étouffée, stuffed flounder, barbeque shrimp pasta, seafood platters, and oysters on the half shell. Original French Market Restaurant – 1001 Decatur St. This 200+ year old restaurant is known for its oysters and boiled seafood. Here you’ll find boiled crawfish by the pound as well as boiled jumbo shrimp, blue crabs and snow crabs. They also serve up oysters on the half shell and a few varieties of char-grilled oysters. Muriel’s Jackson Square – 801 Chartres St. Known for their resident ghost as well as their food, the must-try crawfish dish at Muriel’s is their Crawfish & Goat Cheese Crepes. If you happen to visit during French Quarter Festival, you can also sample this dish at their food stall in Jackson Square. Three Legged Dog – 400 Burgundy St. If you’re looking to eat like the locals do, head to Three Legged Dog, a dive bar which offers late-night crawfish boils a few times a week, typically on Mondays, Wednesdays and Fridays. 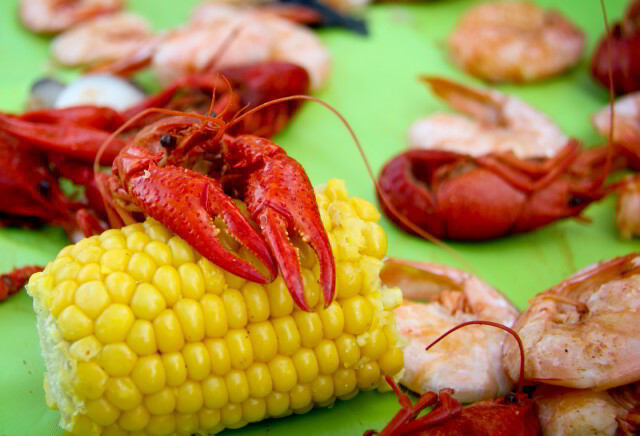 Be sure to call before you go (504-412-8335) to make sure a crawfish boil is happening. Criollo Restaurant – 214 Royal St. This modern Creole restaurant can be found in our sister property, Hotel Monteleone. Head there for breakfast and you can indulge in a crawfish tail omelet or Saturday’s daily “Benedict” Special, the Creole Benedict, featuring Creole Risotto & Crawfish Cake, Poached Egg and Citrus Hollandaise. Start your lunch or dinner off with Seafood Gumbo, complete with Gulf shrimp and crawfish and topped with crisp fried okra. 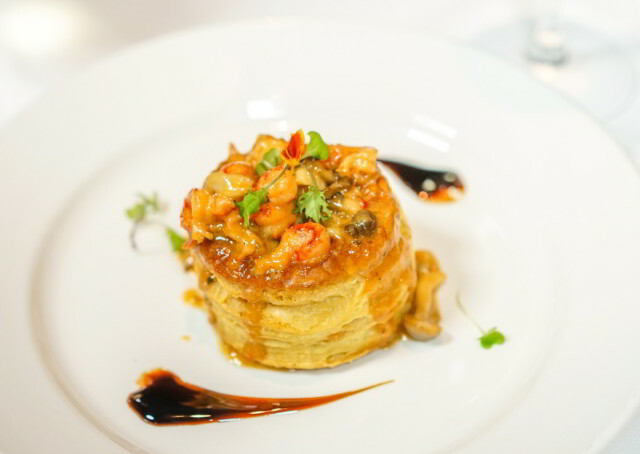 If you’re feeling decadent at dinner, try the Crawfish Vol Au Vent appetizer, pictured above. No matter how you prefer to enjoy crawfish, there is plenty to eat and do here in New Orleans in the springtime. 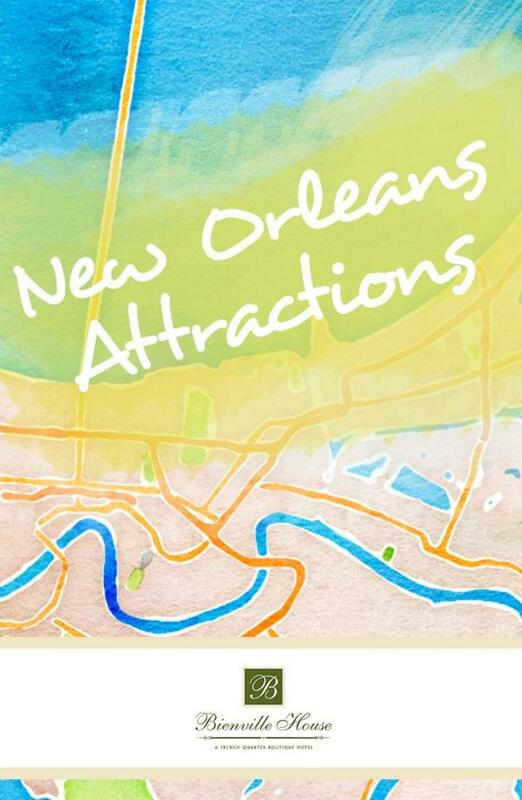 Book your French Quarter vacation today!